Whole House Water Filter for a Healthy Home! A whole house water filter system is attached directly to the main water source where it enters the house. This is usually in a basement, or crawl space, but it could be anywhere that the main line is found before the water is distributed throughout the home. Whole house water filters are easy to install, though it is generally best that a professional deal with the installation. Also, know as a point of entry systems, a whole house water filter is designed to handle large volumes of water, with a large filtering capacity, so that the homeowner can be assured of clean, quality water throughout the house. The initial cash outlay can be quite large for a whole house water filter, but the cost-effectiveness per gallon compared to any other water filtration system is superior, and the range of benefits of having all the water in a home filtered is extensive. There are several different types of whole house water filters to choose from, and each has its own merits. The homeowner must consider budget, as well as the quality of the water being filtered. In most cities, the water supply is quite clean of pathogens but laced with chemicals and heavy metals. Well, water and other older water supplies can be heavy with sediment. There is also the question of water softening, and whether or not it is necessary. There are several reverse osmosis whole house water filters on the market. This is one of the best products for creating clean, pure drinking water, and is a popular choice as an under counter water filter. 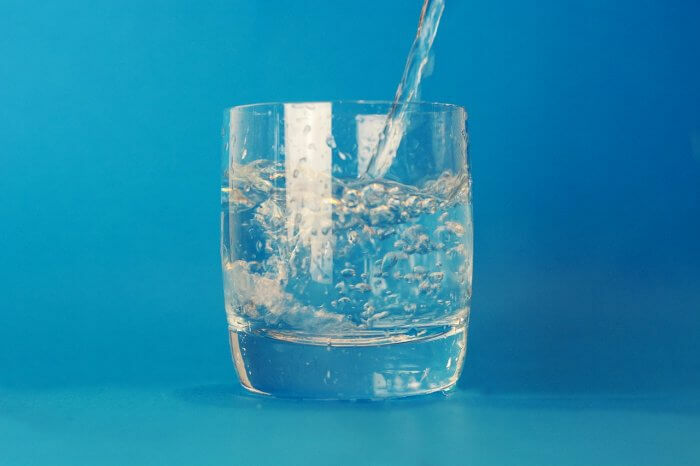 Reverse osmosis systems have the added benefit of requiring very little maintenance, as they do not have the filter cartridges that need replacing. However, reverse osmosis uses a method of ‘pushing’ water through a membrane, and it wastes a lot of water in the process. There is a 4:1 ratio of wasted water to filtered water with the reverse osmosis water filter system, so the money saved on filters will likely be spent on increased water bills. Active carbon is another popular type of whole house water filter. Active carbon is generally a closed filter capsule that contains granules of carbon, a very porous element that has a massive absorption potential. Carbon is effective in removing sediments, heavy metals, and bacteria from the water. It is also very good at filtering out chlorine, which is present in all municipal water supplies. Active carbon is a good choice for a whole house water system, but it will require periodic cleaning and replacement of filters, as the carbon begins to lose its absorption effectiveness with use. One of the surprising benefits of having a whole house water filter installed is that not only will it improve the water supply, it can affect indoor air quality as well. This is because the chlorine in the water becomes airborne when water is running, particularly hot water. The steam pumped out by a dishwasher or a long, hot shower can actually be quite detrimental to health. Chlorine gas is easily absorbed by the lungs and is known to be damaging to organs. Although municipal water supplies are generally free of harmful bacteria and viruses, the water is often loaded with the chemicals used to kill them. The trace amounts are minute in most cases, however, drinking a lot of water can increase the risk of damage. Of course, drinking plenty of water is one of the golden rules of healthy living, so it follows that one would want a clean water supply. Having a whole house water filter means never having to be exposed to that kind of danger unless outside your home. The advantage of having all the water in your home filtered is that every activity that requires water, from doing dishes to making ice to washing clothes, will benefit from chemical free water. Even your morning coffee will taste better! Buy a Whole House Water Filter for Your Home! No matter how good the water supply to your house is, every homeowner might want to buy a whole house water filter. Often the standards that are acceptable to a municipal or state board are simply not what we would choose to consume given a choice. A whole house water filter is installed at the source of the water to your home, or point of entry, and thus able to filter all the water used in your home. A good whole house water filter, though initially costly, will provide the homeowner with years of dependable service, and the health benefits and peace of mind will far outweigh the cost. NextHow to Get Best Data Recovery Services in Toronto?